My 5 year old son confided in me that he believes a scary old man or “Buddha Baba” visits his room at night from time to time and that he wanted to sleep in with us, as he was scared of entering his room. Just as I was about to tell him that there is no such thing, I realised that aren’t there so called scary creatures such as the “tax devil” that we grown -ups tend to avoid out of fear or ignorance? And I while I will be comforting my son in bed tonight, let me use this article to quell any fears that you may have about this so called “tax devil” as the income tax filing season has just begun. We invited experts from Cleartax.in, an E-filing websites that enables you by providing a simple do-it-yourself platform for filing return. A. Form 16: Salaried individuals should get Form-16, an annual statement issued by the employer to salaried individuals carrying details of the employer, salary paid, tax deducted and investments declared. Download and save the Form-16 PDF your employer had given you to the desktop. Put together following documents from your bank, insurer, broker or mutual fund, or home loan provider. 1. Interest from savings bank account and have money locked in on a fixed deposit. Log on to your online banking account and find out savings bank account interest earned during the year and interest from fixed deposits. Banks issue Form 16A when the fixed deposit matures. Interest income broadly is covered under this head. 2. Home loan: Don’t forget to take advantage of tax deductions that you can use to reduce your tax bill as a homeowner. If you have taken a home loan with your husband or a family member, you can still claim deductions proportionate to your ownership share in the property. You will fill up details about your home loan on this screen next. Ask your lender for a home loan interest certificate. The certificate shows the breakdown of amount of interest paid and principal repayment made during the financial year. Refer to your property taxes payment slip. This can be deducted from landlord’s rental income. 3. Capital Gains on shares and mutual funds: If you trade on the share market, or have SIPs, then download the summary of your transactions from your demat account. Note that investments made in ELSS and money locked in 5-year fixed deposits qualify for deduction under Section 80C. 4. If you made tax payments on your own this year, have your Challan 280 handy to fill out the taxes paid section. BSR code and the challan number from the challan slip must be entered in the income tax return. Next Is it Worth Buying, When Gold is Falling? 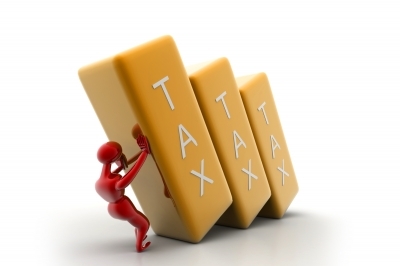 A Checklist Manifesto for Tax Troubles!